As I'm decorating the house for Christmas, I realize that one of my favorite things to display is the nativity scene. Some people like to have a tree in multiple rooms. For me, I like to have a nativity set in every room that I can. It helps me to remember the religious theme of the season and is something that my children can treasure for many years to come. Today, Amazon.com is offering a fabulous deal on the Willow Tree Nativity Set . It's only $49.99 and there's free shipping. It's a perfect set for any space or any decor. Add on pieces like the metal star backdrop for a dramatic effect. Smaller nativity sets can brighten even the tiniest space. I have this Lenox Holiday Miniature Nativity 7 piece set on a table in a sitting room at my house. It matches my holiday plates perfectly. I'm thinking about using this as a centerpiece for the holiday table. 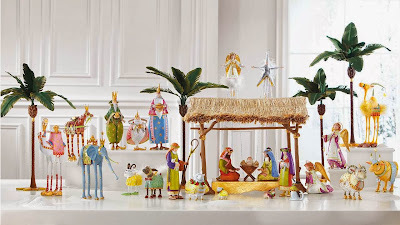 Another Lenox nativity set is at the top of my list. The individual pieces that are available steal the nativity show with the First Blessing Nativity Set. I'm seriously thinking about starting with a few pieces and adding to the collection each year. 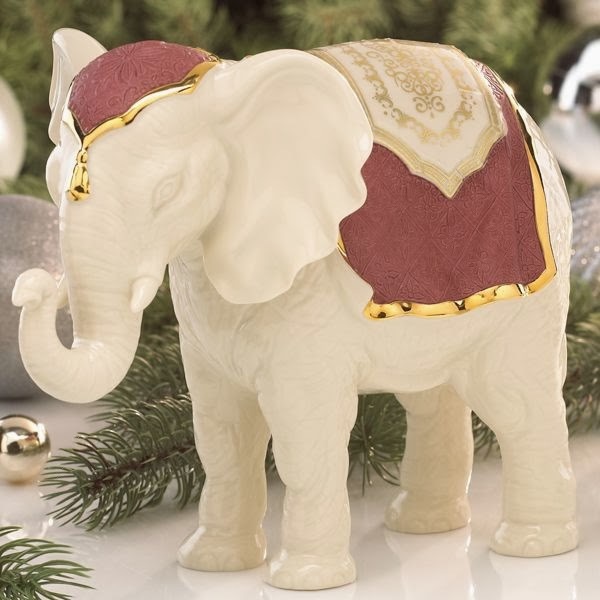 The elephant proudly raises his trunk in celebration of our Savior's birth! Another item that I'd love to collect are the pieces from Patience Brewster. The contemporary scene is a whimsical interpretation of the nativity and will delight everyone who sees it. 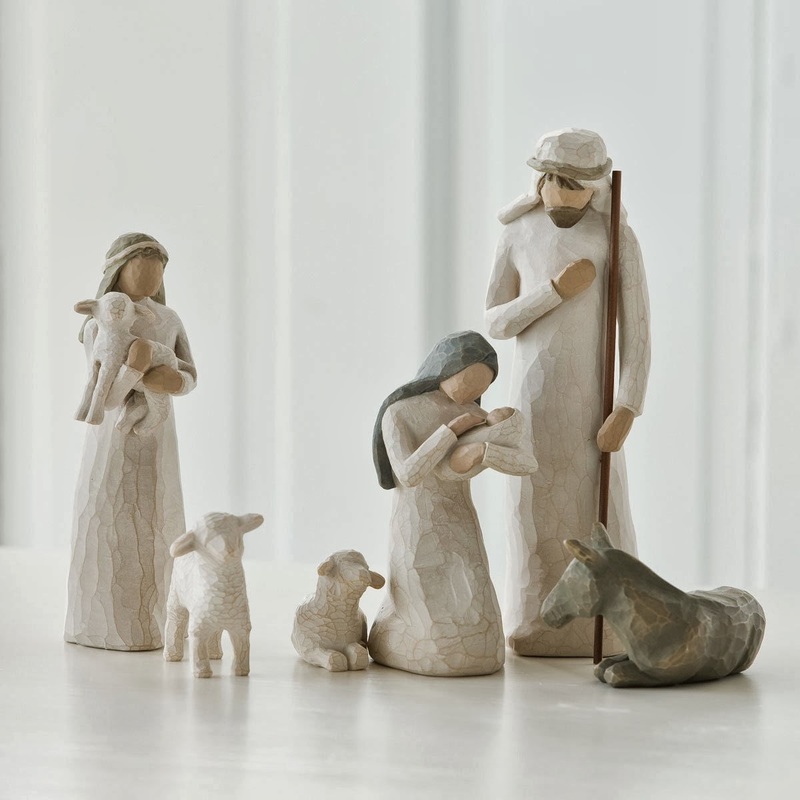 If you have little ones at home, you may be reluctant to invest in a nativity scene right now. 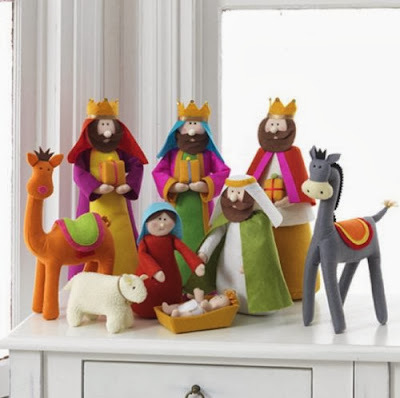 A colorful nativity set made out of fabric is a perfect solution! 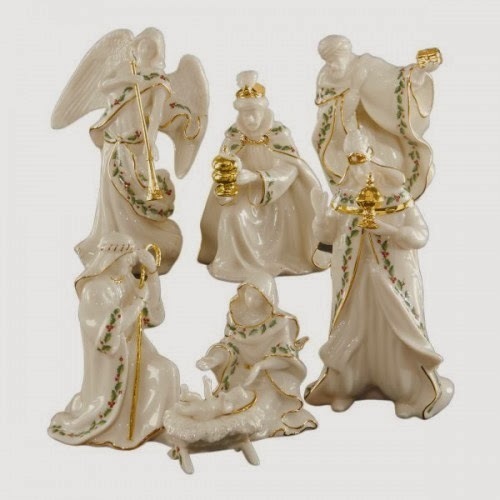 The Large Fabric Christmas Nativity Set has 9 pieces and is a great statement piece. Thank you for this post. I have been looking for a nativity the past few years (tried to hunt down a blue and white china patterned scene) and was unaware that Lenox carried such beautiful options! Hope you and your family are having a wonderful Christmas season thus far! I ordered the willow hill I have a few non Christmas pieces and this will be great. Because of the soft muted colors I actually think I will leave it up all year. I love the Lenox but my kids would destroy it and now matter how much I fancy that Patience Brewster, and oh it is beautiful, It is not at all in my budget. Thanks for the info on the deals. Baltimore Prep ~ I LOVE the Lenox nativities. They're truly heirloom pieces that last a lifetime. Karen ~ The Willow Hill IS so pretty to leave on display all year. The quality is so good with a really solid construction.